The School of Political Science and International Studies has created an alumni group to support the Alumni in the School. The official name for the group is the University of Queensland POLSIS Alumni Networking Group – UQPANG! POLSIS graduates, staff and anyone interested in the group are eligible to join. Join the Alumni Volunteer Group! 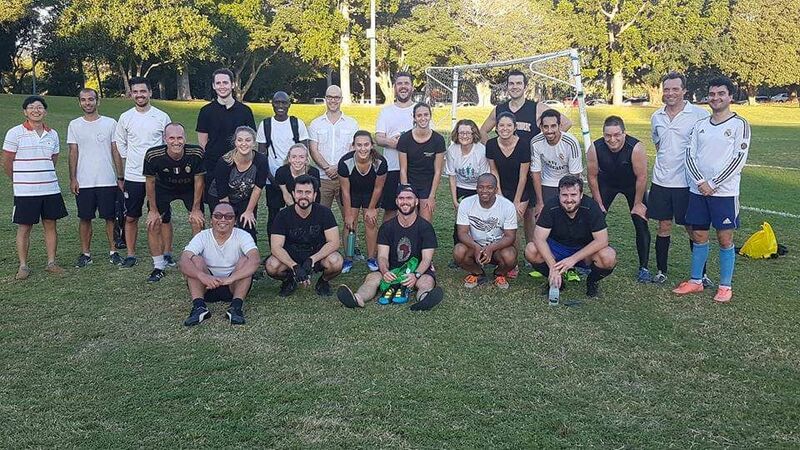 The UQ POLSIS Alumni Group aims to build and maintain mutually beneficial and valued relationships between alumni and with the university long past graduation. With politics and the world ever changing, the UQPANG seeks to engage and serve graduates of the UQ Political Science School via a broad range of activities and offerings throughout the year, which will allow alumni to stay up to date on issues of national and international importance, to network with other alumni, and also to identify opportunities to give back to the School, the university and the wider community. The UQ POLSIS Alumni Steering Group are the current stewards of the alumni offer that seeks to achieve this mission. The UQPANG steering committee members are currently Kartini Oei and Ingrid Valldares – both recent Masters graduates. Eligibility for participation in the steering committee is based on completion of a Registration/Update Details form. Weston Bruner - Director of Advancement, Faculty of Humanities and Social Sciences is very supportive of this group - sign up now and reconnect! So - why are Alumni important – and why should we organise a group? Mentors and advisors to students and recent graduates to help navigate the complex range of opportunities available – eg join the Graduate Centre career mentor program, and/or, offer internships to students. What is in it for Alumni? Provides them with the opportunity to remain engaged with the School, Centre and University. This can allows them to continue to engage in learning, thinking about and discussing the big issues in politics today. Give back to the university – motivation by Kartini Oei who has contributed to the initial framework for association structure. Please consider joining the group - Click here to complete form to join.